With produce (fruits & vegetables) it was pretty straightforward to understand how to make this shift from the Standard American Diet (or SAD, which is a very appropriate acronym). First, we needed to eat more fruits & veggies. And we also needed to buy more organic produce because these are farmed using sustainable practices. But with meat, we initially didn’t make any changes in our buying or eating practices. We honestly didn’t know that there exists a food system of sustainably-raised meat. That goes beyond the conventional understanding of “organic”. Which only refers to farming practices that do not involve chemical pesticides and fertilizers. But doesn’t address animal welfare issues, which is a major component underlying sustainably-raised meat. So once we learned about this farming system for animals. We wanted to make this shift too. And with just a little bit of research, I learned that there are a fair number of farms in our area that follow these sustainable practices when raising animals for meat consumption. The conventional farming system of raising animals for consumption and from which the majority of meat sold in major grocery stores and served at just about every restaurant. The sustainable farming system -- practiced at Pike Valley Farm that is rooted in allowing the animals to graze on certified organic pastures and living in their natural environments eating their natural diets. Understanding the labels and terminology commonly found on meat packages sold in the stores. Making the mental shifts that can help us start opting out of a bad system and buying meat that is not only way better for us, but also the animals and environment. This was an amazing show from the very beginning when Daniel shared the trajectory of his career and passion for sustainable farming. Please have a listen. I guarantee you won't regret it. And may even want to listen again -- I've listened a few times already! Daniel and his wife switched to a Real Food lifestyle to address the health issues that were impacting his wife's fertility. Tim & I opted to adopt fur babies. So I don't have personal experience or insight to lend on this front. However, I am a follower and huge fan of Liz Wolfe (RealFoodLiz). 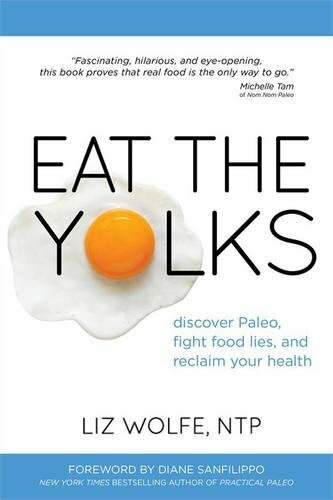 Liz is a Real Food advocate and author of Eat The Yolks. A fantastic book that uncovers the shocking lies about the Standard American Diet (SAD) and advances the truths about eating Real Food. Liz also partners with Meg “the Midwife” Reburn (MegTheMidwife) to cover fertility, pregnancy, and postpartum wellness AND how to raise a healthy baby. Their website BabyMakingAndBeyond is under development. But once it goes live, it will be a resource to address these issues within the context of Real Food. Food, Inc. is a ground-breaking documentary that examines how mammoth corporations have taken over our foodways in the US. From the farms where our food is grown to the chain restaurants and supermarkets where it's sold. 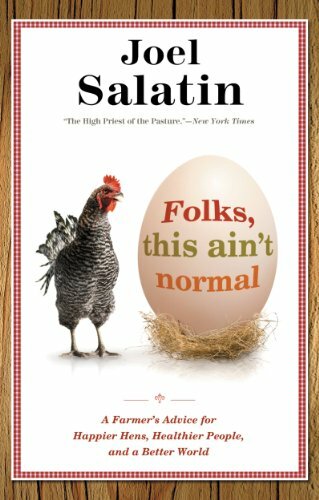 It features interviews with average Americans about their dietary habits, commentary from food experts like Joel Salatin of Polyface Farm, where Daniel had interned, learned these cutting edge sustainable practices, and brought them here to KY. Warning: There's also some unsettling footage shot inside CAFOs (Confined Animal Feeding Operations) that Daniel discussed as length. If you are interested, here is a taste → Food, Inc. Trailer. CAFOs are just plain and simple nasty systems. Animals are rapidly fattened with grain-based feeds. Typically GMO soy or corn. Instead of grass and forage as nature intended. Most animals -- whether cattle, chickens, or pigs -- are given drugs and hormones to grow faster. And given antibiotics to survive these unsanitary living conditions. They live in these feedlots for months before being moved to a factory for slaughter. Or as Daniel discussed in the case of chickens -- live in these awful confined conditions for their entire lives. And CAFOs now dominate livestock and poultry production in US and the scope of their market share is steadily increasing. YIKES!!! There are also major environmental impacts of CAFOs – Greenhouse gases from direct sources (methane emitted from the animals belching and their manure) and indirect sources (land conversion/deforestation linked to growing feed -- monocrops). And as Daniel discussed, the public health impact that migrates from unhealthy animals (which is a result of these horrible conditions) to humans is a reality. But DO NOT blame the farmers!! This is the system that we, as consumers, support through our buying habits. As Daniel mentioned, a 10% shift in buying practices will make a difference. So how about we all chip in and opt out of a bad system and into a good one. VOTE WITH YOUR FOOD DOLLARS!!! Pike Valley is not the only farm in Central KY that follows these practices. Elmwood Stock Farm is another source. I am a shareholder in their CSA and have bought their meat bundles. In fact, when I planned Tim's 50th birthday party a few years ago, I decided that with so many non-KY friends joining us, I wanted to source all of the meat, eggs, and produce from Elmwood to showcase our Kentucky Proud pride! But if Pike Valley and Elmwood are not convenient locations, you can find sustainable farms in your area at Eat Wild. This is the website where I found Pike Valley. If you prefer videos to radio or podcasts, here are links to Daniel's YouTube video discussing their farm practices for pork and beef → Pike Valley Farm Pastured Pork and Pike Valley Farm 100% Grass Fed Beef. Pike Valley welcomes visitors and questions about their farming practices. I can speak from my experience, they are completely transparent and fantastically passionate about their farm. So if you are in the area, I highly recommend a FREE farm tour. Perhaps you'll even see me & Tim there because we LOVE visiting the places where we buy their food. And if the dates for the tour don't work for you, definitely contact them to discuss a more convenient date. Now here are the Blog articles that I mentioned during the show about the labels and terms on conventional chicken packages. Also a post on the concept of "price per meal" and a couple posts featuring Pike Valley Farm products. Enjoy! Finally, we referenced our interview with Mac Stone of Elmwood Stock Farm a number of times. So here is a link to that podcast: Lexington Food Justice Podcast#2. Definitely worth another listen as these shows compliment each other! *FTC GUIDELINES REQUIRE THE DISCLOSURE OF AFFILIATE RELATIONSHIPS THAT RESULT IN THE GENERATION OF REVENUE. So As an Amazon Affiliate, if you purchase any product listed within this article by clicking ON Amazon HYPERLINKS, I RECEIVE A COMMISSION. FOR MORE INFORMATION ABOUT DISCLOSURES, PLEASE READ THE DISCLOSURE POLICY. AND THANK YOU FOR SUPPORTING REALISTIC FOODES BY USING THE PROVIDED AFFILIATE LINKS!! !